Join us in celebrating these recent winners of major national honors. As a marine chemist conducting research in the 1980s, George Luther was continually circling between the field to collect salt-marsh sediment samples and the lab to measure their chemical makeup. 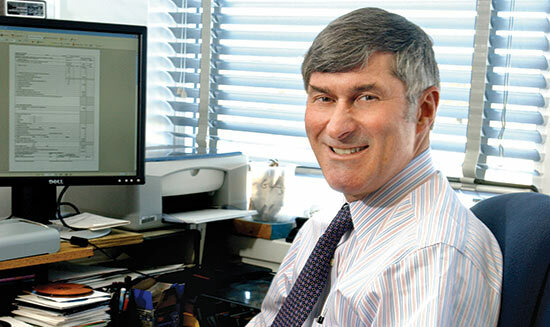 Concerned about chemical reactions changing results during sampling, he invented a creative solution in the early 1990s: a gold-tipped microelectrode sensor that could take instantaneous readings right in the ground. As the Maxwell P. and Mildred H. Harrington Professor of Oceanography, Luther studies the different forms chemical elements take in marine waters and sediments. Currently, he is researching nanoparticulate pyrite from hydrothermal vents, manganese cycling in the environment, algae-generated particles affecting air quality, and opportunities for collaboration with Xiamen University in China. His broad range of research settings have included a metal-contaminated site in New Jersey, the oxygen-depleted Black Sea, warm-water springs of Yellowstone National Park, hydrothermal vents at the bottom of the Pacific Ocean and even potentially habitable environments on Mars. Luther has published more than 200 scientific papers, been selected as an American Association for the Advancement of Science Fellow, received the Geochemical Society’s Claire C. Patterson Award for outstanding contributions to environmental geochemistry and received UD’s highest faculty honor, the Francis Alison Award. 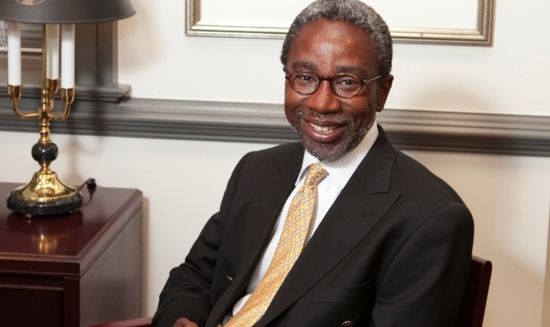 Babatunde Ogunnaike, William L. Friend Chair of Chemical Engineering and interim dean of the College of Engineering, has been elected to the prestigious National Academy of Engineering. Academy membership is among the highest professional distinctions accorded to an engineer, recognizing those who have emerged as pioneers in new and developing fields of technology, made major advancements in traditional fields of engineering or developed innovative approaches to engineering education. Ogunnaike’s model-based advances in the field of process control, developed during his previous 13-year research career at DuPont, today affect a number of commercial processes essential to the manufacturing of plastics, fuels, medicines and many other products. Additionally, his textbooks have been used to educate and train thousands of engineers in systems control and instrumentation at more than 29 universities. The author or editor of four books and more than 75 papers and book chapters, Ogunnaike has served as associate editor of the Institute of Electrical and Electronics Engineers’ IEEE Transactions on Control Systems Technology, and he is associate editor of the American Chemical Society’s Industrial & Engineering Chemistry. An outstanding scholar and mentor, Ogunnaike joins five other UD College of Engineering faculty and emeritus faculty as National Academy of Engineering members. They include Mark Barteau, Dominic Di Toro, David L. Mills, T. W. Fraser Russell and Stanley Sandler. 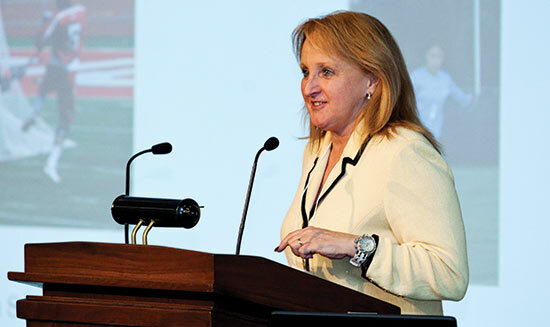 Lynn Snyder-Mackler, Alumni Distinguished Professor of Physical Therapy, has spent the past two decades developing evidence-based approaches to the rehabilitation of knee injuries. Now, her dedication and track record of accomplishment have been recognized with a prestigious MERIT (Method to Extend Research in Time) Award from the National Institutes of Health (NIH). The elite award, given at the discretion of the NIH, provides up to 10 years of research funding. Snyder-Mackler’s work has focused on knee, shoulder and spine rehabilitation, but she is perhaps best known for her work on anterior cruciate ligament (ACL) injuries. Most recently, she and her research team have collaborated with researchers and clinicians at Oslo University Hospital in Norway in the development of a screening procedure to provide clinicians with treatment options, including non-surgical alternatives, that may improve function after ACL injury and reconstruction. In Norway, no one has reconstructive surgery without first undergoing at least three months of rehabilitation. A delay in surgery enables some people, a group Snyder-Mackler calls copers, to regain knee stability simply through neuromuscular training. But which people fall into that category and which are non-copers? And can non-copers become copers — and vice versa — through rehabilitative therapy? A collaboration over the past five years with Prof. May Arna Risberg and orthopedic surgeon Dr. Lars Engebresen in Oslo has provided considerable evidence to support the hypothesis that there is a differential response to ACL injury and that this response can be affected by rehabilitation. Stability strategies also can change, with non-copers becoming more stable, and potential copers becoming unstable. Snyder-Mackler’s research makes a strong argument for a period of rehabilitation for all ACL patients, but she hopes to do additional studies in what she calls a “waiting list” country, where surgery is delayed for as long as 18 months to two years. Already recognized as one of the top collegiate women’s basketball players in the nation, Elena Delle Donne recently added to her list of accolades by earning one of the highest honors possible for her work in the classroom. Delle Donne, an early childhood education major from Wilmington, Del., with a 3.60 cumulative grade point average, was named the Academic All-American of the Year for NCAA Division I women’s basketball this past spring. The selection was made by the College Sports Information Directors of America. This year marks the third straight season that UD has had a student-athlete named to an Academic All-American team. 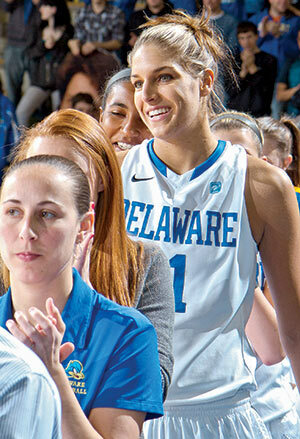 Delle Donne is the first UD student-athlete in any sport to be named the Academic All-American of the Year.